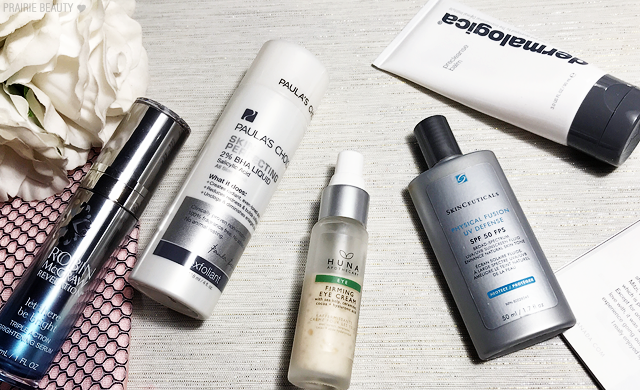 If you read this blog with any kind of regularity, you'll know that I'm a bit of a skin care nerd and I've been super interested in the past few years in learning as much as I can about how skin care really works. I also believe pretty strongly that all of the science in the world won't actually tell you how a product will react with any individual's skin, so it's important to really try products and give them a solid test while also considering scientific evidence and the ingredients that work best for you. Anyway, because I try and really enjoy so much skin care combined with the fact that I've found that what works best with my skin is to layer and change up the products in my routine based on how my skin is behaving, really figuring out what my favorites were was a difficult task for me. That said, I definitely stand behind all of these products as ones that work for me, that I consistently reach for, and that I have every intention of continuing to use into 2018. Wanna see what I loved enough to put it on this list? Keep reading! 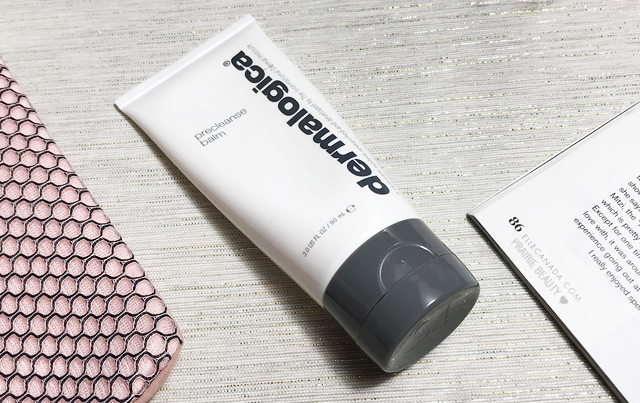 I'm a long time fan of removing my makeup with an oil or balm cleanser, so I was super stoked this year to try out the Dermalogical Precleanse Balm and it's been seriously impressive to me. On days when I'm wearing a lot of makeup, I've definitely found that this powers through and really breaks everything down to leave my skin ready for my second cleanse. I also really love the smell of this cleanser, which helps add to the experience of cleansing my face. That's actually a big thing for me. I tend to think of my skin care routine, and particularly my cleansing routine, as an act of self care so I love when it feels somewhat indulgent and this balm definitely adds to that overall feeling. 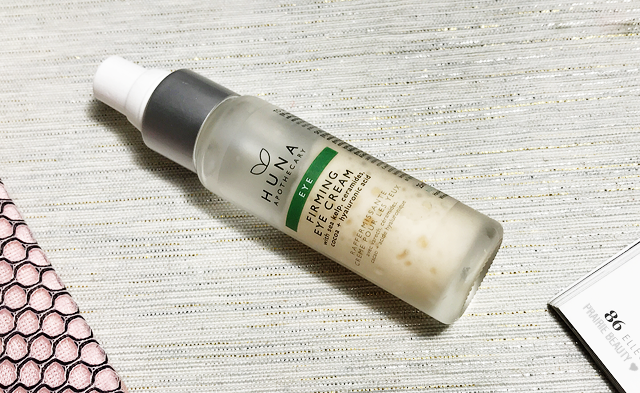 I feel like there are a few products in my routine that stand the test of time and stick out even when I'm trying a lot of different things and the product at the top of that list is the Paula's Choice Skin Perfecting 2% BHA Liquid. I've been using this for years at this point and it's a product that I know I can always count on, particularly when my skin is congested and I really need something to get into my pores and start cleaning them out. As someone who used to really struggle with clogged pores that gave my skin really uneven texture that I had serious insecurities about, this product has been instrumental in helping to smooth the surface of my skin and help to give me more confidence overall. 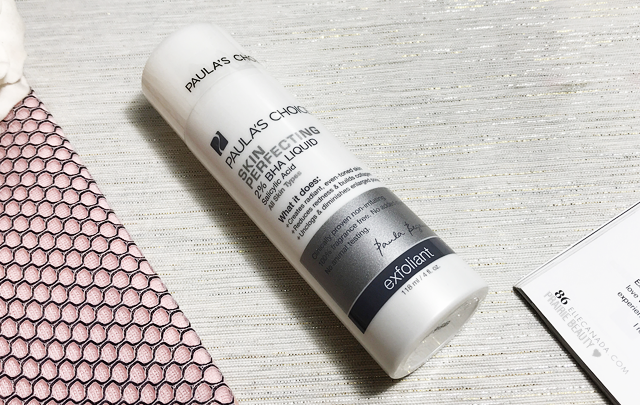 Can't say enough good things about this product - but keep an eye out next week for a little bit of a deeper look at Paula's Choice Exfoliating Acids! 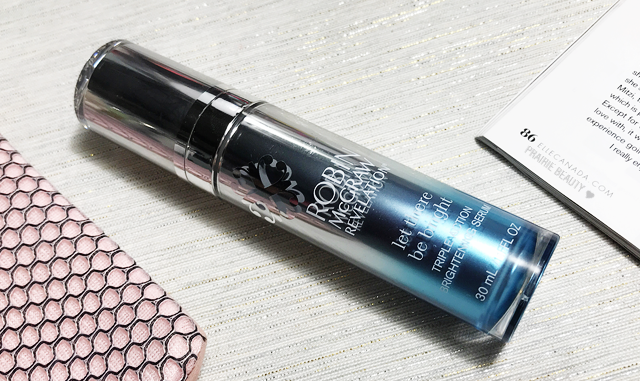 While this is a newer product in my collection, it's one that has really been standing out and one that I'm consistently reaching for every single day over other eye creams in my collection. One thing that I particularly love about this is that I can really see a difference in my skin when I use this versus when I don't. When I use this, my undereyes look more hydrated, less crepey and definitely maintain a more youthful look underneath makeup throughout the day. My undereyes are definitely where I'm personally starting to see signs of aging, so I'm really happy that this eye cream is giving me visible results in that area both immediately and with consistent use. I've been using a LOT of serums over the past year, but when I really sat down and looked at them, this one really stood out for me because of the great results I saw when using it. When I was in the testing process of this serum, I was really intrigued by the clinical results I was seeing for the active ingredients in this formula, and impressed with the results that I saw on my skin. When used consistently, I really saw a brightening effect to the skin that left it looking really healthy. I'm not really sure that I was expecting this serum to work this well for me, but the proof is in the pudding and this really worked for me. Though I did get this as PR, this is a product that I would - and likely will - purchase again. I've tried other facial sunscreens, I really have. In fact, I have a little bit of facial sunscreen fatigue because they never seem to work for me - except for this one. 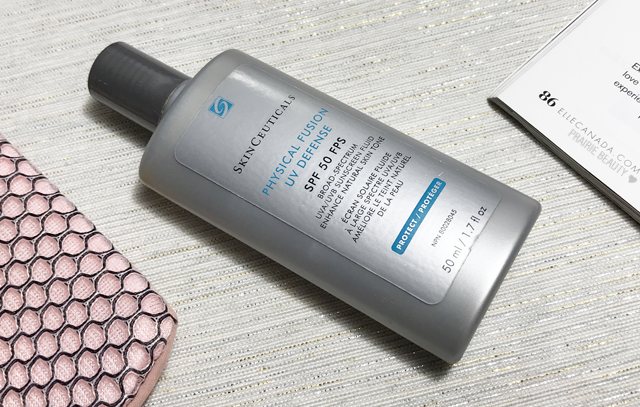 This sunscreen is my absolute ride-or-die holy grail and I will FOREVER repurchase this. In fact, of everything on this list I'd say that this is really the one product for which there is no competition in my collection. This is a given that goes on my skin every single day during the warmer months - when I'm actually getting sun and need a sunscreen that's going to work. It works beautifully under makeup, gives me significant protection from the sun, and has never clogged my pores or broken me out. It's perfect. PERFECT, I TELL YOU! And I have a feeling nothing else is ever going to live up to this for me. Try this, for real. Like I said, this was not an easy field to narrow for me and the first of these Top 5s that I'm inspired to new honorary mentions for, so I want to mention three products that didn't make the list but absolutely would have if I'd done a Top 8. The first is the belif True Cream Aqua Bomb, which is my perfect warm weather moisturizer that deeply hydrates my skin without every overloading it. Next is The Ordinary Buffet Serum, which is beautiful, filled with peptides and really just makes my skin look and feel better overall. And finally, the L'Oreal Pure Clay Detox & Brighten Cleanser, which is my every day morning cleanser that gets my skin really deeply clean without every drying it out. I really, really couldn't resist including those three in this list! Do you have any skin care favorites that you want to share with me? Let me know in the comments! Thanks for reading! 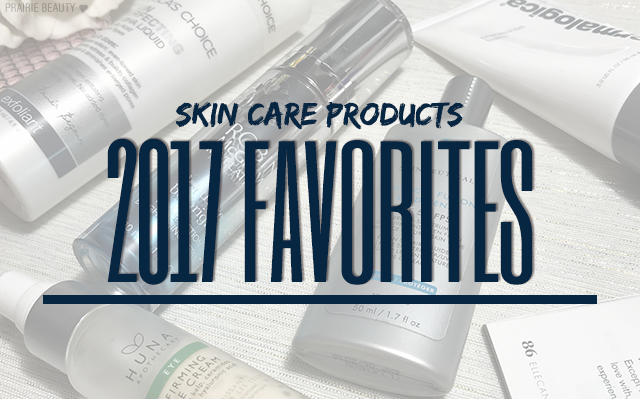 Check back tomorrow for my second to last 2017 Favorites post!